Rooted Practice: Summer Wrap #1: 22 is a lot of classes. My summer unofficially ends today with the start of band camp. I suppose now is a good a time as any to finally write my long-promised vacation posts. 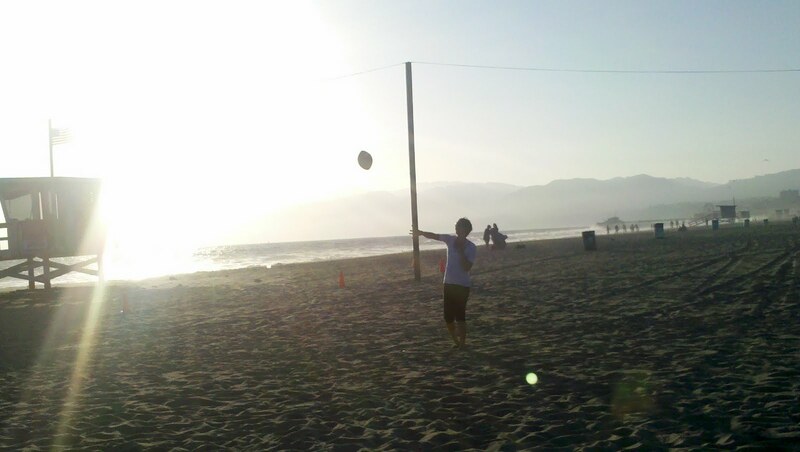 I'll start with my trip to Venice, CA back in July. You know how sometimes you go on vacation and it simply flies by? And you come back more tired than when you left because the travel involved? Well, this wasn't one of those vacations. The beauty of a yoga vacation is that you're actively present in the moment, so you savor every minute of it. 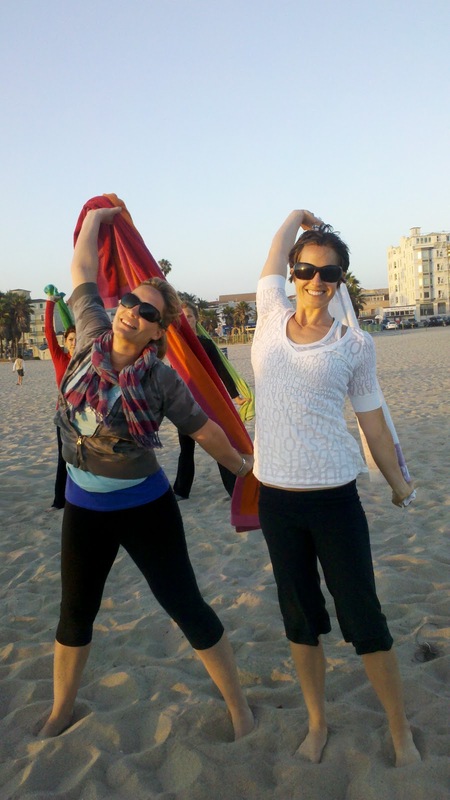 I went with J and K (who are both yoga instructors at my yoga studio) to Exhale in Venice, California. We were joined later in the week by B, who also used to teach at my studio but moved to San Francisco before I ever had a chance to even meet her! Exhale is the home base of world class yoga instructor such as Shiva Rea, Annie Carpenter, Seane Corn, and Saul David Raye. We came, armed with water bottles and yoga mats, trained and ready to tackle some grueling classes... And also to hang out, eat good food, and maybe surf a little bit. 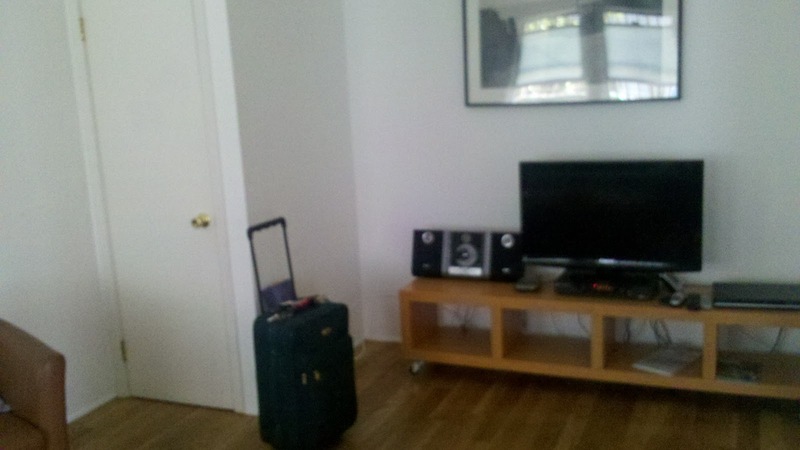 On the recommendation of a friend, we stayed at the Venice Admiral Suites. 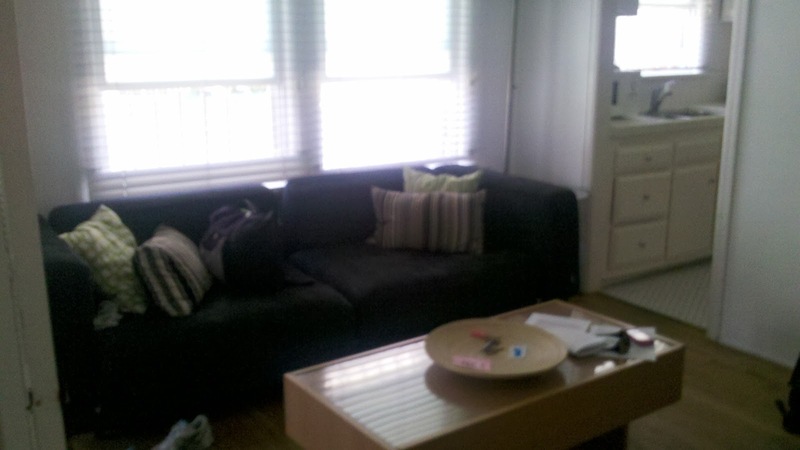 They're cute little furnished apartments with a kitchen, bedroom, and living space. 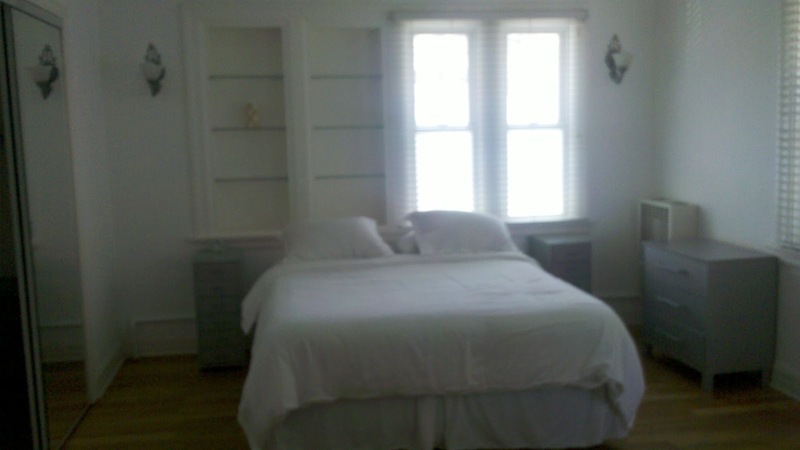 Located about a block from the beach and two blocks from the studio, they were the perfect place to stay for our vacation. We stocked up at Whole Foods (1 mile away), although there was also a really nice organic market a few blocks away as well. On most days we ate breakfast & lunch in the apartment and then went somewhere local for dinner. We stopped by Exhale and purchased an unlimited monthly membership ($150--it's listed on the website but not on MindBodyOnline. We had to ask about it at the desk.) It turned out to be an interesting week at Exhale Venice--both Annie Carpenter and Shiva Rea were leading teacher trainings that week. This meant that both of them would be there to teach us (hooray!) but also that their classes would be packed with 100 or more people at a time (boo!) I also want to note that they don't change the schedule for the week until Sunday evening--so we had planned out most of our week when we arrived on Sunday afternoon, and then all of a sudden 27 different teacher substitutions showed up by Sunday night. Annoying! We also thought that Saul David Raye would be there... but alas, once the schedule was updated on Sunday night it became apparent that he was not. Boo! Over the course of the week, I took 22 (!) classes with a variety of different instructors. I took a variety of classes--a variety of levels of vinyasa in the studio, pranayama/meditation, yin/restorative, beach yoga, and forrest yoga. My experience was also enhanced by my companions; it was fascinating to debrief after each class and discuss the things that we really enjoyed about each instructor/class and the things that we didn't like so much. I enjoy taking J & K's classes even more since every once in a while they'll throw in a phrase or a concept that I know they took directly from our experience in Venice--and then, no matter how physically challenging the practice is, I get a sappy smile on my face as I remember. -Aaron Reed: We took Aaron's "Relax Deeply" class on the day we arrived in Venice. He's definitely laid back--to the point he taught class in his plaid flannel pajama pants! I loved this class; it was perfect after having spent 5+ hours on a plane. 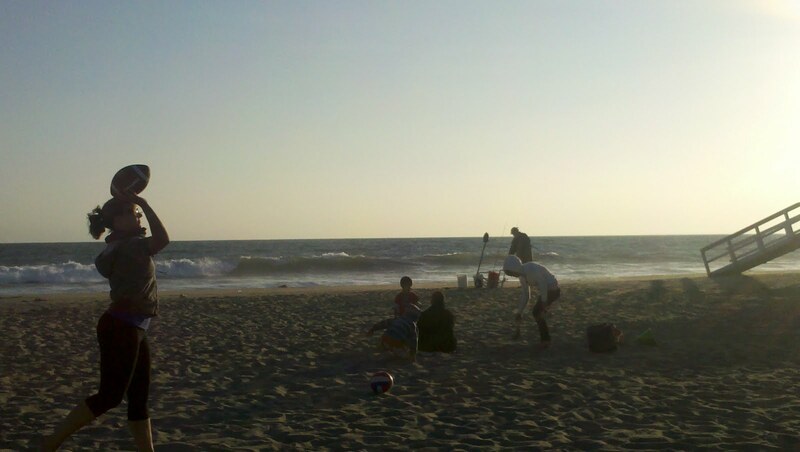 We also went to "Beach Yoga"--which started out with paddle ball, football, frisbee, and hula-hooping before some light yoga practice. His whole point was that we do yoga so we can be free to enjoy everything else in our lives. 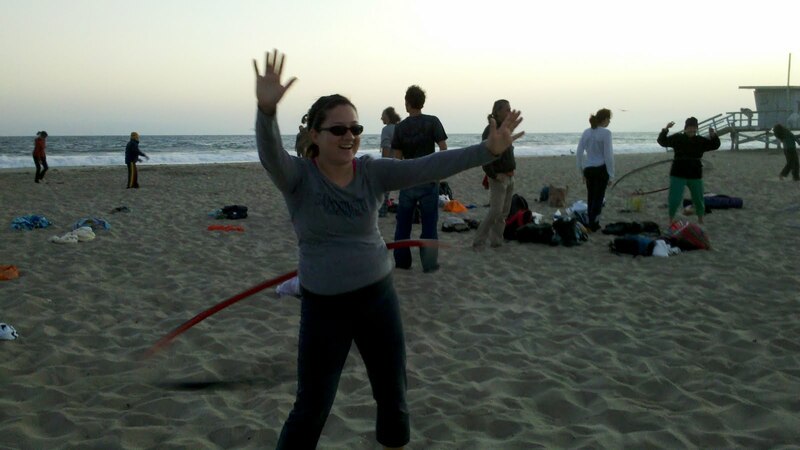 Did you know that hula-hooping burns 100 calories every 10 minutes? -Kyra Anastasia: Kyra is a relatively recent transplant from the DC area, where she once owned three yoga studios. I took 3 classes with her over the course of the week and found each one to challenging and energizing. She's also incredibly sweet and gave us lots of recommendations for other instructors and places we should eat. I'm hoping to take her class again when she visits DC in October! -Annie Carpenter: Annie is everything everyone says she is--challenging, encouraging, funny, and approachable. Her classes were tough--but you'd hold a pose and she'd talk you though it and give you minor adjustments to make you feel it in a different way. Even though most of her classes were enormous (thanks to both her "celebrity" status and the teacher training she was leading), I still got a lot out of them. I also appreciated that she was going around the room and making modifications herself--which didn't necessarily happen in some of the other cattle-call style classes. I took 3 of her classes (two Level 2 and one Pranayama & Meditation) and enjoyed all of them immensely. I would definitely go out of my way to practice with her again. -Brad Keimach: I cannot say enough amazing things about Brad. It's always a good sign when an instructor you like (Kyra) a) recommends you go to someone's class and b) attends the class herself. Brad was the epitome of the classes I enjoyed most--serious yoga that wasn't uptight. He did a great job of helping me focus on breathing, made adjustments, all the while reminding us to not take ourselves too seriously. Only adding to my crush was the fact that Brad is a conductor (like me!) and studied at Tanglewood with Leonard Bernstein (way more awesome than me!) 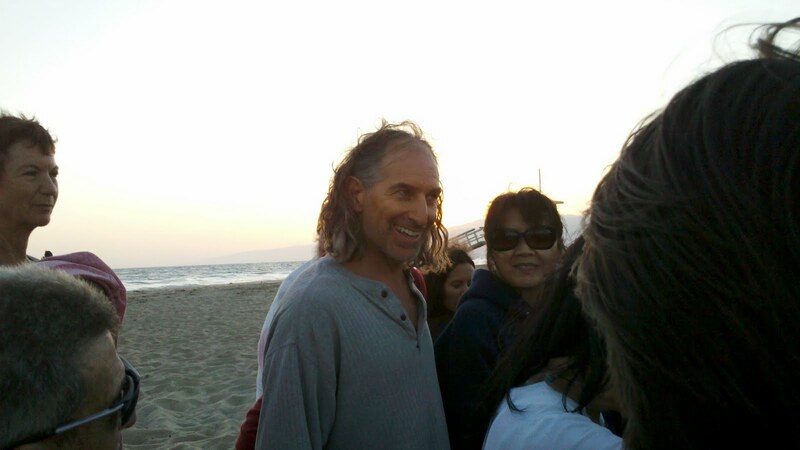 In addition to teaching at Exhale, Brad teaches a "donations-appreciated" beach yoga on Saturday & Sunday mornings right on Venice Beach. This was a much more traditional yoga practice than Aaron's beach yoga, but the breeze and the fresh air and the sand and the ocean make it a transformative experience--and not to be missed! Note: I have more (awesome!) 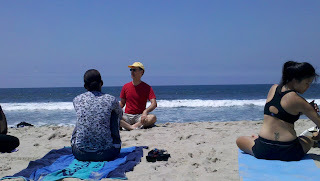 photos from Beach Yoga with Brad but the battery in my camera is dead and I'm not sure where the charger is. I'll try to update this post with more pics soon! I also enjoyed the classes I took with Christi Christensen (the studio manager), Brian Campbell, Jo Tastula, and Garth Hewitt. (I would like to note that Garth was the first teacher who bothered to welcome the first-timers to his class and made a point to ask if anyone had any injuries or conditions of which he should be aware before we started. It's standard practice at my studio, but didn't happen very often at Exhale.) I enjoyed Richard Wegner and Lynda Carre, although nothing stood out about either of them. (However, "unremarkable" doesn't mean bad--it really probably has more to do with my state of mind than with their teaching.) I took one class with Micheline Berry. I really wanted to love her, but came out indifferent. I had already taken about 10 classes by the time I took her, and her class was earlier in the morning than the rest--which meant that her frequent use of anatomical terms (ex: saying "scapulae" instead of "shoulder blade") made it hard for me to immerse myself in the practice. Again, I blame this more on the fact that I wasn't firing on all cylinders, rather than anything being wrong with her teaching. I considered giving her a second chance later in the week, but her class fell on the morning we decided to take off from yoga to go biking. So, there you have it. My AMAZING yoga experience in Venice. Have no fear, though, we did do things OTHER than yoga as well--but this post is long enough as it is, so all of our other fun adventures will have to wait for another post.